Helloo! Today I have ORLY's 'Purple Crush' to share with you. I find that ORLY polishes are a little bit harder to find in the UK, so I don't actually have too many. This one was sent to me as a surprise gift (thank you! ), and I was very happy to add it to my small ORLY collection. As always, read on to find out what I thought! 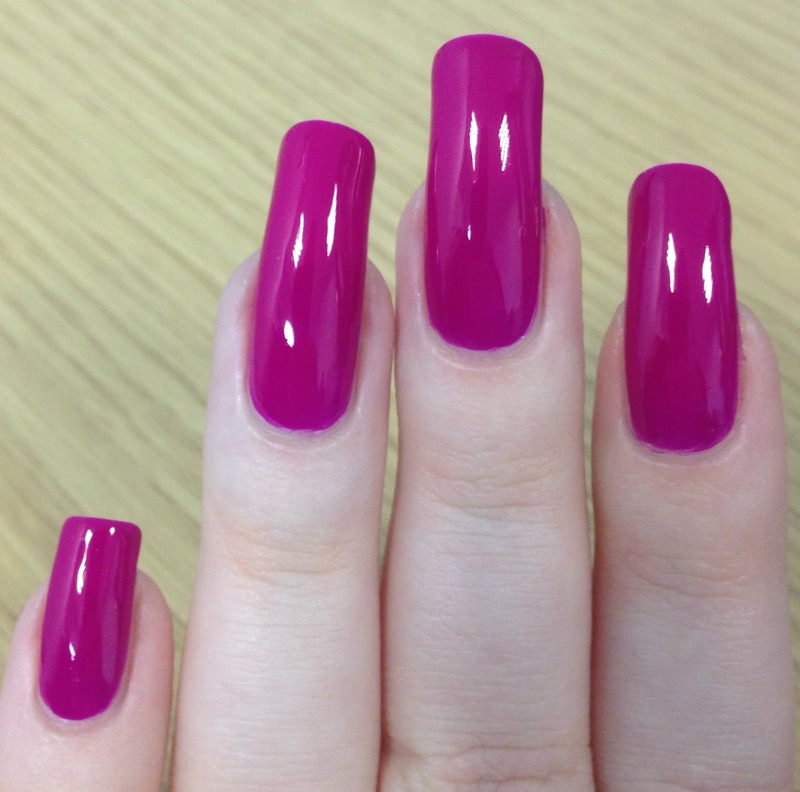 ORLY 'Purple Crush' is a very bright pink toned purple. Depending on lighting it can lean either more to the pink or purple side. It is bright enough that I'd definitely consider it neon. 'Purple Crush' is described as a creme, but I'd say it was more of a jelly. It does have a slight thicker formula, but that makes it much more opaque. It applied very evenly and streak free, and I had no visible nail line after the second coat. Below is two coats and topcoat. What do you think? I think it's a gorgeous colour, and love how it's bright without being a completely in your face highlighter neon. I would say it's the closest to a neon purple I have in my collection (although my recent Danglefoot Polish nail mail might change that!). I have to have this!! OK, I've learned not to post on my phone with wet nails (deleted 2 posts so far because of Typos). Orly nail polishes are wonderful. They have a smooth creamy application that coat the nails beautifully. I've gotten away with opaque in one coat. I have a few of them lying around. One of my favourites is Orly Va Va Voom or Orly Color Blast "Queen's Crown." It's a smooth gold but it doesn't dry with the bumpy texture that most glittery nail polishes dry with. Oh my goodness!! This is stunning on you! I'm impressed at how squishy this can looks while still being opaque in only two coats. Great swatch! O.M.G. That it is stunning and perfect on you! What a perfect fuchsia! ooo wow that is gorgeous! Gorgeous color! I love how shiny and squishy it looks!